You might remember the PadPivot that started its journey from concept to manufacture on the Kickstarter website and raised over $100,000 from investors. Well the innovative tablet is now available to purchase for $39.99 from the Rocketfish website. 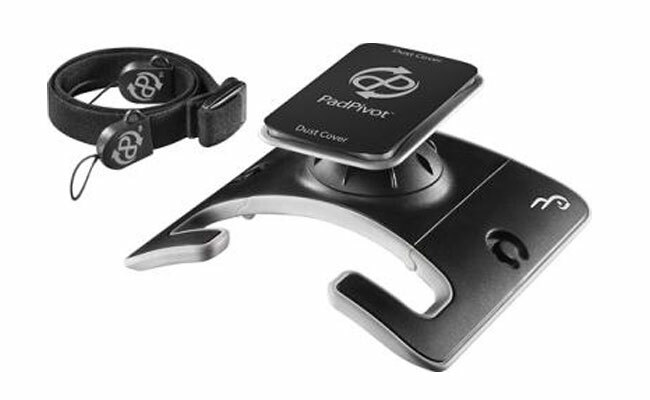 The PadPivot is compatible with most digital readers and tablets including Apple’s iPad and provides 360 degree rotation and support for gaming and application use using both hands. Watch the promotional video after the jump to see Rocketfish’s PadPivot is put through it paces. It can either be used on your leg to free up both hands for use or can be positioned on a flat surface to view movies or media. The PadPivot will work with most tablets and even a few eReaders if required and is available now for $39.99 each from the Rocketfish website.